The journal is currently indexed in CIRET, MyJurnal, i-Journals and i-Focus. 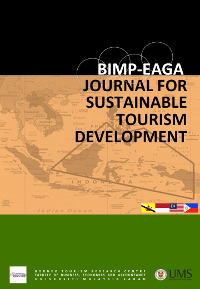 Please check out Journal of BIMP-EAGA Regional Development on regional development issues in the BIMP-EAGA region. We are pleased to announce that the Sustainability Seminar 2016 will be held on 23rd August 2016 at Faculty of Business, Economics and Accountancy, Universiti Malaysia Sabah. The seminar is organised by Universiti Malaysia Sabah, Malaysia and Tokushima University, Japan in collaboration with Journal of BIMP-EAGA Regional Development. We are pleased to announce the 4th Regional Conference on Campus Sustainability (4RCCS) to be organized by Universiti Malaysia Sabah (Malaysia) with the collaboration of Adamson University (Philippines) and National Institute of Technology, Fukushima College (Japan). We welcome all delegates to this beautiful state of Malaysian Borneo and one of the most beautiful university in Asia, Universiti Malaysia Sabah. The conference will focus on university and college’s activities, projects and researches done in and off campus that lead changes and promote sustainability. The conference organizers invite posters and papers relevant to the theme of the conference “Campus and Sustainability: Leading the Change”.